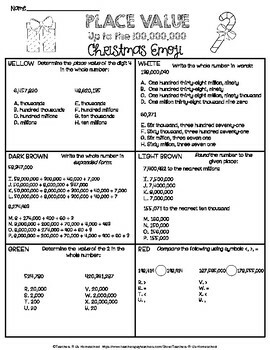 Get your class in the holiday spirit with this NO PREP activity which reviews place value in a fun and creative way! 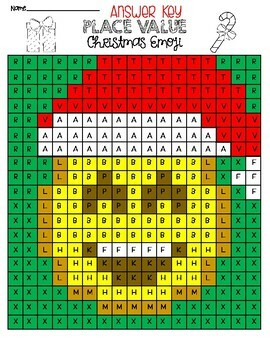 They will have a blast trying to solve the mystery Santa Emoji by following the color key. 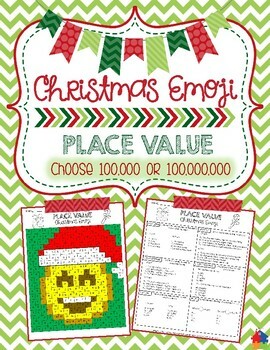 Hang the final products in the hall or classroom for a festive display! 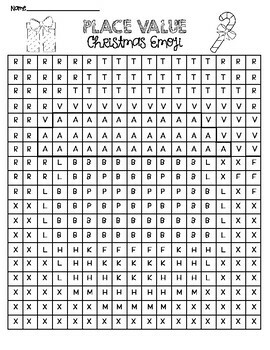 Worksheet is separate from coloring sheet to prevent guessing the picture and/or answers. TWO VERSIONS included - up to the 100,000 and up to the 100,000,000. Choose the one that best fits your students' needs. Skills Include: identifying correct place value, written/word form, expanded form, comparing numbers, and rounding numbers. As a follower you will be alerted as soon as Teachers R Us lists a new product or a freebie. During the first 24 hours, we often price our products at a 50% off discount. To follow, look under where our logo is located and click on “follow me”. Thank you! Have questions regarding this product? Shoot me an email at monicadavis@truhomeschool.com!